Your beginnings will never look like your endings. So many people throw away flowers right before they bloom. 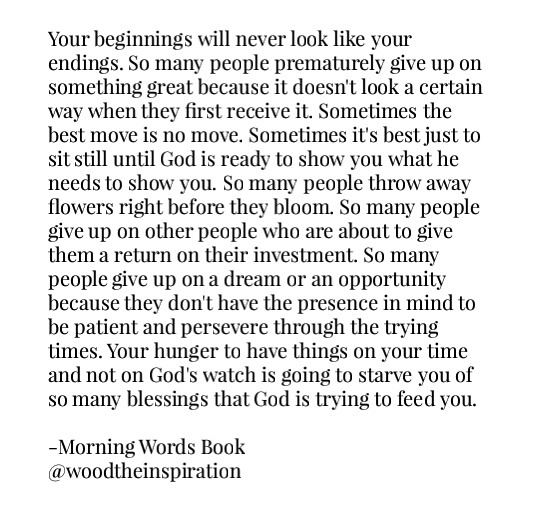 Order Morning Words Book Right Now By Clicking The Link Below!